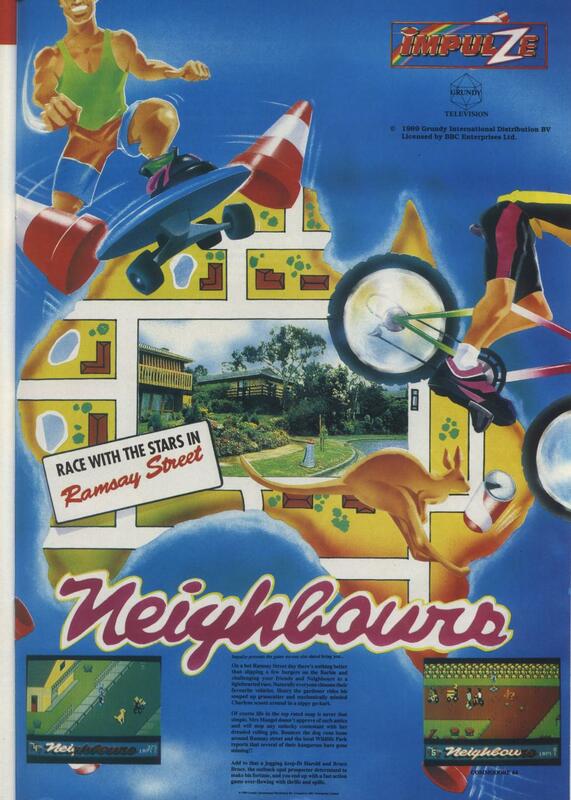 Neighbours was published by Impulze for the ZX Spectrum, Commodore 64, Amiga and Atari ST in 1991-1992. This particular advertisement originates from the UK. The game puts players in control of a skateboard-riding Scott Robinson, who has to dodge dogs and kangaroos and other such…wonders of Ramsay Street. Truly bizarre. This actually made me cringe. I don’t think a game ad has ever made me cringe before.